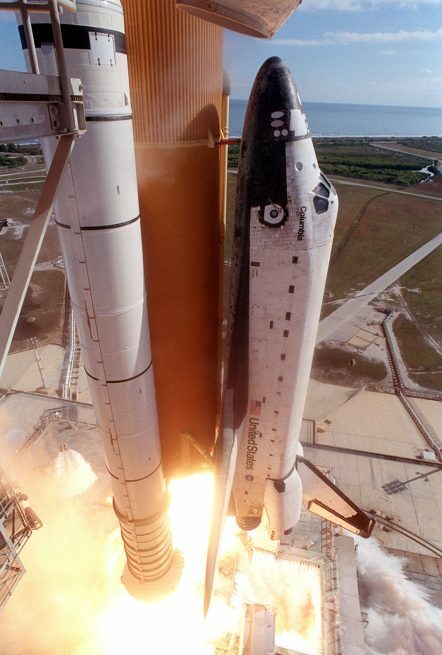 On Jan. 16, 2003, when the Space Shuttle Columbia (flight STS-107) lifted off from Launch Complex 39A, her crew was finally embarking on the mission they had waited five years to launch. Originally slated to fly in May of 2000, changes in flight priorities for supply and assembly of the Space Station, along with a Hubble Space Telescope servicing mission also flown aboard Columbia, had shuffled the mission’s target date numerous times. They had spent 16 days in space performing over 100 science experiments in the SpaceHab module in Columbia’s payload bay. Most of their findings were sent back to Houston. Rick Husband, mission commander, on his second spaceflight after being the pilot on STS-96. He was commissioned as a second lieutenant in the U.S. Air Force prior to joining NASA. He loved to ski both on water and on snow. Pilot William “Willie” McCool, also a Commander in the U.S. Navy, was making his first spaceflight. Willie enjoyed many outdoor activities and a good game of chess. Mission specialist 1 David Brown, a U.S. Navy Captain having served as a flight surgeon prior to flying the A-6E Intruder. This was his first spaceflight. 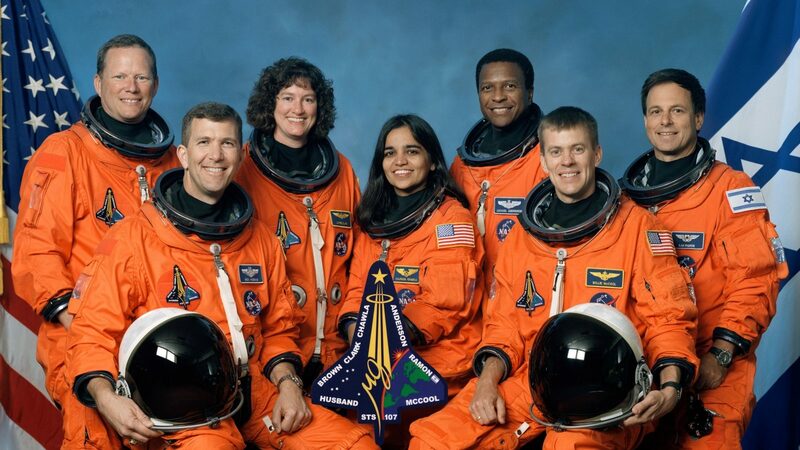 Mission specialist 2 Kalpana Chawla was on her second spaceflight, both aboard Columbia. When not busy at NASA, she enjoyed flying gliders and single and multi-engine land and water aircraft. Mission specialist 3 Michael Anderson, a Lieutenant Colonel in the U.S. Air Force, was making his second spaceflight having flown on the eighth Shuttle–Mir Program docking mission, STS-89. Another chess player, he also enjoyed playing tennis. Mission specialist 4 Laurel Clark, another spaceflight rookie, was a medical doctor by trade and an adrenalin junkie in her spare time enjoying scuba diving, hiking, camping, biking, and parachuting. Payload specialist Ilan Ramon, the first Israeli astronaut, was a Colonel in the Israeli Air Force. Like his commander, he loved to snow ski. They all loved being astronauts and worked very hard in order to get their chance to fly in space. But I absolutely couldn’t identify with the people who were astronauts. I thought they were movie stars. And I just thought I was kind of a normal kid. And so I couldn’t see a path how a normal kid could ever get to be one of these people that I just couldn’t identify with. And so, while I would’ve said, “Hey, this is like the coolest thing you could possibly do,” it really wasn’t something that I ever thought that I would end up doing. Like the Apollo 1 and Challenger tragedies before them, investigations once again revealed deficiencies in NASA’s policies and attitudes that if they had been resolved prior to the accidents, might have prevented them. The shuttle was once again grounded while changes were implemented both in procedures and in equipment. The Space Shuttle Program was also given an “end of life” timeline in such that it would fly to finish the assembly of the International Space Station (ISS) before being retired. As a result, NASA began working with private space companies, such as SpaceX, Boeing, and Orbital ATK, to provide cargo and eventually crew rotation flights to the ISS. Today, despite launch failures, cargo flights to the ISS are becoming more routine and crewed commercial flights are slated to begin in 2018. In the interim, NASA astronauts have been traveling to the ISS via the Russian Soyuz capsule. The seats have increased steadily in price, most recently costing NASA over $60 million for a seat. NASA also began looking to travel out of low-Earth orbit for the first time since 1972 when Apollo 17 flew the last manned mission to the Moon. Today they are getting closer to that goal with the continued development of a new heavy-lift rocket, the Space Launch System (SLS), and a new deep space capsule, dubbed Orion, which flew its first unmanned test flight in December 2014. The first flight of the SLS, currently slated for late 2018, will be an unmanned flight taking the Orion capsule on a trip to the Moon and back. 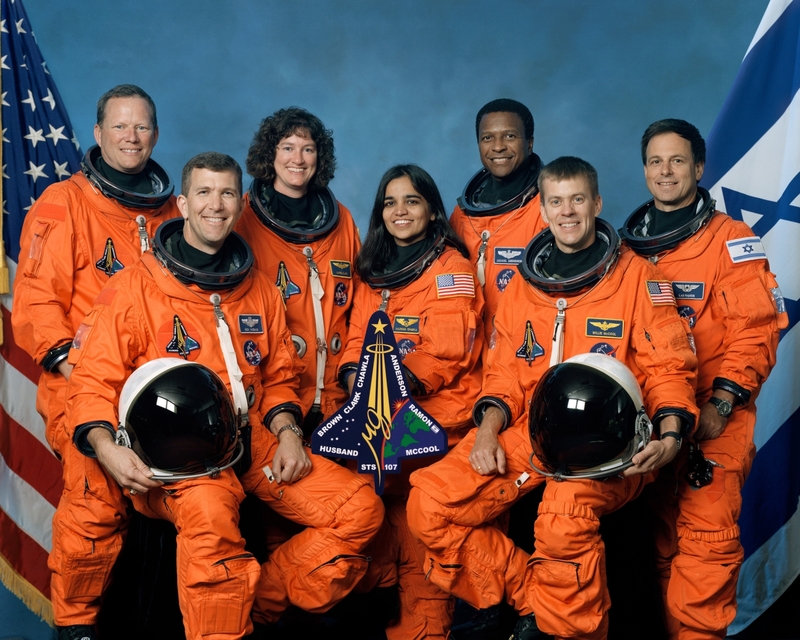 As a 22 year veteran of the space shuttle program your story has brought back a lot of memories. I was a crew compartment tech on OV99 before its first flight. Later i was working the RTLS (return to launch site ) convoy on that cold January morning in 1986 and witnessed the death of crew and shuttle. Everyone around me was crying in disbelief at what had happened. When we returned to flight once again I was working the RTLS convoy and of course every one was holding their breath the radio call came that SRB separation had taken place and we were on the road back to space. My job at KSC was shuttle recovery where ever it landed and I was in that for the remainder of my career. Fast forward to when they announced the flight of OV102 on STS107. Columbia was the grandma of the shuttle fleet and was to heavy to do the things the newer vehicles could so i was really surprised they send her out again. The mission was just a mishmash of experiments that hadn’t been accomplished on other flights. For some reason that I can’t explain this announcement caused a dread in me. She didn’t need to make this mission but there was no way to express my dread because at NASA the culture is SHOW ME THE DATA. I had declined to go to Edwards AFB for contingency landing support so once again I was at KSC for landing convoy support. After so many years of landing operations you know all the radio calls coming into the covey personnel , where the orbiter is on descent, when to expect the it to cross the runway with its welcoming twin sonic booms. After what seen\med forever I knew she wasn’t coming home. Then the dreaded call to bring all our paperwork to the convoy command vehicle and it was over.. The dread I had felt all those months leading up to launch were now reality. Hail Columbia. This article brings back bad memories. It is my guess that NASA knew they probably would not come back when they saw how many tiles had fallen. Rest in peace STS 107. I was up early that morning watching the television in absolute horror. The people in the Southwest saw the shuttle break up. Although they are all test pilots you make a good point that the mission wasn’t absolutely necessary; we didn’t know that. An often overlooked legacy of the loss of Columbia and her 7 astronauts is the on-going research conducted on hundreds of pieces of debris from the Orbiter. Completely different from the reaction to the Challenger loss, which saw the wreckage buried in an abandoned missile silo never to be seen again, NASA has a program to lend Columbia debris to academic and other research institutions to study the effects of hypersonic entry on materials and structures. The program’s principle goal is aimed at designing and building better and safer spacecraft as we go forward in space exploration. It was begun in the months following the accident as a way for Columbia to continue its research mission long after her loss. It was a day I’ll never forget . We had dozens of pieces land on our property . The rumble woke me up , my wife was outside looking up we could see it breaking up . We thought it was a plane then a friend called and said it was the Columbia . The recovery lasted for weeks . Our prayers go out to their family’s .